BREAKING. One Music channel to return to TopTV's channel line-up 3 months after HiTV went bust. I can break the news and reveal that the music channel One Music (TopTV 506) which TopTV lost in November together with the Nollywood channel HiNolly when HiTV went belly up will be returning to the South African pay TV provider sometime within the next 12 hours. TopTV will be able to return One Music to its platform and the channel will definitely be back by tomorrow (28 February) if not by later today already. One Music which has a heavy emphasis on Migerian artists and music was suddenly cut off when HiTV went bankrupt and lot its pan-African distributor. I'm told that TopTV is also working on a replacement channel for HiNolly which also got cut but was a self-compiled HiTV channel and which won't be able to resurface. TopTV should be making an announcement on the replacement of the HiNolly TV channel soon. BREAKING. SABC2 stops the world turning - immediately ending As The World Turns; last episode will be shown this Tuesday. Put this one definitely, squarly in the ''what the f- is going on at SABC2'' category: SABC2 just decided to dump the weekday soap As The World Turns, unwilling to extend the broadcasting licence period, with the soap immediately ending abruptly this coming Tuesday 28 February with its last episode at 14:10. As The World Turns gets replaced immediately on weekdays at 14:10 on SABC2 with another cancelled show, The M'Onique Show. SABC2 which also had press show up at an event this past Friday for the move of Morning Live to another studio, only to wait for journalists to arrive on the day and then tell them the event isn't actually happening anymore, gave no warning about As The World Turns impending doom. SABC2 says ''the soap which started broadcasting on SABC2 in April 2010 has reached its broadcasting license period with the distributors now only availing and distributing the series online''. What SABC2 conveniently omits to say - and didn't have to balls to communicate earlier and more effectively - is that it either knew and didn't do anything about keeping the soap, or is so incredibly incompetent that the channel waited till the last possible moment to actually tell that the soap is a gonner. Unknown: I asked SABC2 who at this moment can't tell me where the soap is ending exactly. How quickly before the real end of As the World Turns is the soap now abruptly ending? How many months (or year) is still left and will now go unseen? Question: Why did SABC2 buy As the World Turns, knowing how many episodes are left (since the soap already got it cancellation date by April 2010) and didn't do the easy calculation which would have told the broadcaster for what period it would have to buy and license the show? Question: If the end of the license period for SABC2 to show As The World Turns came closer, why did SABC2 do NOTHING to speed up showing the soap, with possibly multiple new episodes per day or some other scheduling compression technique? This is really horrific HORRIFIC bad practice by a broadcaster. You're telling your viewers subconsciously as a brand they can't really be sure of seeing the end of any show or trust you to not suddenly yank whatever off with some feebly ''license expired because our own idiocy'' excuse. SABC2's world might still be turning, but the ludicrous channel is definitely spinning out of control on their own little planet. BREAKING. Is Graeme Richards returning to early morning television as the newewst presenter of SABC3's breakfast show Expresso? 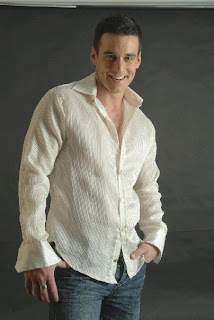 I can exclusively reveal the news that Graeme Richards, the former SABC3 continuity presenter and then e.tv's Sunrise co-host, is possibly joining SABC3's breakfast show Expresso as as new presenter - possibly one of two new presenters - and that it could be as early as this coming Monday morning, 27 February. The news is extremely hush-hush, but several insiders sources told me Graeme Richards is joining Expresso as a new face. Graeme Richard's addition to the Tswelopele Productions produced show is possibly one of two new presenters added to the show. The other name is not known to me and set sources also don't know or aren't willing to tell. Although SABC3 just did their next quarterly preview, not a single word was said about new presenters, although I specifically asked about new presenters - so if it is happening, it's not official ... yet. Neither SABC3, nor Expresso said anything about new presenters, but on-set sources who were present at the time told me that previously Graeme Richards already toured and visited the Expresso high rise set in Sea Point and that he's been seen around. Interestingly, Graeme Richards' addition to Expresso would reunite him with Liezel van der Westhuizen who was also a previous SABC3 continuity presenter. Interestingly, Expresso didn't add a date on how long the pregnant Kia Johnson will be away from Expresso once she gives birth - she revealed her due date to me today as 6 June. Graeme Richards' addition to Expresso would mark his return to early morning television since he jettisoned rival e.tv's Sunrise a few years ago. I can also reveal that Expresso is also getting ready to change timeslots slightly - something the production did reveal themselves to me this morning. From April the show, currently on SABC3 from 5:30 to 08:00, will change to a new timeslot which is slightly later from 06:00 to 08:30. BREAKING. 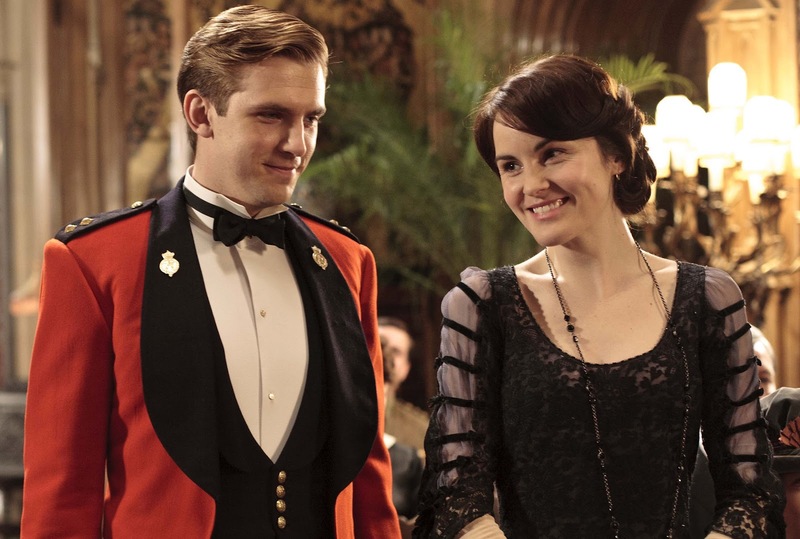 Dearly (and clearly) beloved: Downton Abbey on BBC Entertainment immediately embraced by South African viewers. It's didn't take long. One episode in fact. South African viewers have immediately embraced the delectable Downton Abbey as the biggest and best new drama on television with the first episode of the totally terrific drama which started on Sunday at 20:30 on BBC Entertainment (DStv 120) pulling in 144 000 viewers. Downton Abbey, a period drama set in 1912 which is not hard to follow (actually awesome in fact), pulled a massive viewership this past Sunday night in South Africa, with the 144 000 audience making BBC Entertainment the number one international TV channel on DStv in its 20:30 timeslot. Downton Abbey's first of 7 episodes also achieved the second highest viewership figure on BBC Entertainment so far this year. Jon Farrar, the vice president for programming for the Europe, Middle East and Africa (EMEA) region for BBC Worldwide Channels, calls the hotly-anticipated TV drama performance in South Africa - and which has been making waves in both Britain and America - a ''successful debut''. BREAKING. 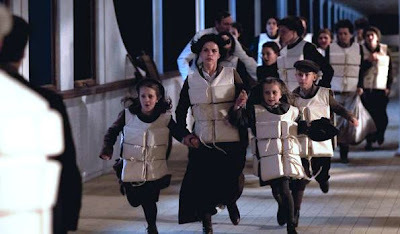 Terrific BBC Entertainment grabs the big-buzz new Titanic mini-series by Julian Fellowes in the wake of Downton Abbey. Wow! 2012 is shaping up to be a terrific year for BBC Entertainment (DStv 120) - so far the best quality general entertainment TV channel in South Africa this year: Besides the incredible Downton Abbey which just started on Sunday nights at 20:30 BBC Worldwide Channels just scooped the buzzed about ITV-distributed new mini-series Titanic (which I told you about RIGHT HERE in November last year), which will be starting on BBC Entertainment in April. ALSO READ: Why 2012 will be a truly Titanic year for television in both drama and documentaries. While the highly acclaimed and brilliant Downton Abbey is a jewel in the crown of any TV channel and got scooped by BBC Entertainment, BBC Entertainment now also grabbed the most provocative and highly anticipated drama for this year, Titanic, which will start with double episodes on BBC Entertainment on 15 and 22 April at 19:30 (South African time). Titanic, co-incidentally also done by the Oscar winner and Downton Abbey creator, Julian Fellowes, is a mini-series in four hour long episodes created to mark the 100th anniversary of the launch and sinking tragedy of the iconic ocean liner. Titanic was filmed in Hungary and retells the story of the doomed voyage, weaving action, mystery and romantic plots together and featuring fictional and historical characters, before coming together in an explosive and unforgettable finale. Following the different characters travelling on the ill-fated ship - from steerage passengers to upper class guests - each point of view will culminate in a cliffhanger as the ship begins to founder, building to an explosive conclusion which draws together each of the stories. Viewers will be taken on a heart wrenching journey through the Titanic’s last hours, as the drama reveals which of the characters they have come to know so well will survive … and who does not. Titanic was created by BAFTA winning producer Nigel Stafford-Clark, written by Julian Fellowes directed by Jon Jones and produced by Nigel Stafford-Clark and Chris Thompson. ''There is a lasting fascination with the Titanic's one and only voyage, and never more so than in the year of its hundredth anniversary.'' says Nigel Stafford-Clark. ''We have retold the story in a way that is bold, fresh and gripping, with all the human detail that television does so well. We hope it's a fitting tribute to the events of that night''. Titanic is produced in association with ITV Studios and Shaw Media who are partnered with Deep Indigo Productions and Lookout Point in the UK, Sienna Films Inc in Canada and Hungary based Mid Atlantic Films. It is a UK-Hungary-Canada co-production. Programming note: 3rd Degree on the eNews Channel tonight looks at the financial crisis of the bankrupt Limpopo provincial government. e.tv's and the eNews Channel (DStv 403) weekly investigative programme 3rd Degree tonight at 21:30 looks at the shocking financial crisis of the Limpopo provincial government which has been declared bankrupt and is more than R2 billion in the red - without having anything to show for that money and fiscal waste. How did a province with an annual budget of R43 billion manage to empty its coffers five months before its financial year end? Tonight 3rd Degree visited two towns in Limpopo where projects awarded to the politically well connected were done so badly that they left communities worse of than the were before and with millions of rands lost forever. Programming note: Costa Concordia Disaster TV special on National Geographic Channel gets a broadcasting date of 29 February. The special Costa Concordia Disaster TV special I told you about last month coming to the National Gepgraphic Channel (DStv 260) soon now has a broadcasting date in South Africa, with Costa Concordia Disaster which will be shown on Wednesday 29 February at 22:00 (South African time). 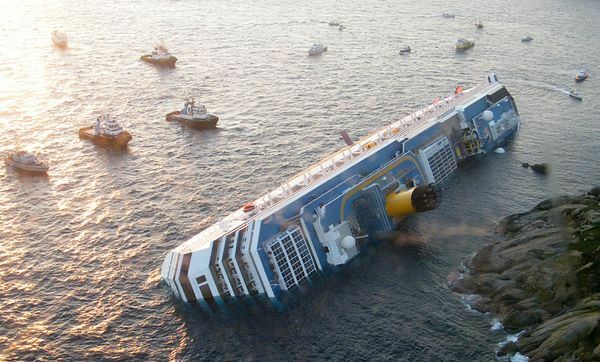 The Costa Concordia documentary will include testomonies from 8 South Africans who were involved in the seas disaster when the ship sank off the coast of Isola del Giglio, Italy. As I've told you previously, the documentary consists out of survivor testimony along with footage taken during the ship's evacuation, using footage from images captured on cameras and mobile phones during the journey and in the dramatic hours as the ship started to sink. BREAKING. Clifton Shores reality show acquired by Vuzu; local reality show to start on the youth channel in May or slightly later this year. I can exclusively break the news that the heavily-hyped locally-filmed reality show Clifton Shores has been sold to M-Net and will be shown on Vuzu (DStv 123) in South Africa probably from May or somewhat later in the year. M-Net clinched a deal for the reality show following several American girls from Los Angeles working for the South African coal mining mogul millionaire Quinton van den Bergh and working for his events and entertainment company Quintessential, while they're living and partying it up with their boyfriends in South Africa's most expensive and exclusive postal code of Clifton. Sources are telling me exclusively that Clifton Shores has been acquired by Vuzu, although the reality show showcasing beautiful Cape Town and which was filmed last year in the Mother City, hasn't been scheduled yet and will definitely not be on air before at least May. Insiders dish to me that Clifton Shores was picked up by Vuzu but that it ''has not been scheduled'' with a possible broadcasting date of May or later. Clifton Shores with 15 episodes and somwwhat of a cross stylistically between the MTV reality shows Laguna Beach and The Hills stars Jamillette Gaxiola and Toby Moniz, Brett Roux, Rikki Brest, Claire Dante, Kathy David, Steven Jackson, Katie Marie, Destiny Moniz, Raquel O'Donoghue and of course Quinton van der Bergh. SABC2 regrets 7de Laan exclusion from 6th Saftas' Best TV Soap category; 'wasn't aware' public voting category required submission. Like no real democracy in the Democratic Republic of the Congo is the Best TV Soap category for the upcoming 6th South African Film and Television Awards - since not all local South African TV soaps will be included by the organisers. SABC2 is as upset at the National Film and Video Foundation (NFVF), organisers of the 6th Saftas, for excluding 7de Laan from the Best TV Soap category this year and not even telling or warning the channel about it. The shocking news I broke last week RIGHT HERE created a furore. SABC2, which doesn't need to apologize, is doing so anyway, saying ''we wish to apologize to our loyal fans and viewers for the disappointment this may have caused. We wish to inform them that this will have no negative bearing on the quality of world class production that 7de Laan will continue to show on their TV screens'' and SABC2 says viewers can continue to tune in on weekdays at 18:30. SABC2's 7de Laan won the category in 2009, 2010 and 2011. Whatever soap wins this year, it will be a hollow victory since no production would really be able to claim that it's ''the best'' - the category is incomplete. SABC3 signs to show the 6th Saftas - although it will no longer be a live broadcast which is what the channel originally wanted. The 2012 South African Film and Television Awards (Saftas) will definitely be shown on SABC3 as I scooped last month; I can reveal that the contract between the National Film and Video Foundation (NFVF) and SABC3 was signed on Friday - although SABC3 will no longer be showing the ceremony taking place at Gallagher Estate live. The NFVF which moved the 6th Saftas from 10 and 11 March to 9 and 10 March created a dilemma for SABC3 which was suddenly stuck between a rock and a hard place: rip up the schedule and move the broadcast to 10 March in order to keep it live, or keep it on 11 March but have it as a recording. SABC3's 6th Saftas broadcast will remain on the first date the NFVF gave SABC3 on 11 March, and therefore a recorded broadcast. The 6th Saftas will be produced by Clive Morris Productions and Grooves Productions' Lehlohonolo Lehana. BREAKING. Saturday Night Live moves from M-Net Series to Comedy Central; comedy sketch show will start in April one week behind America. Here's a blindsider: Comedy Central (DStv 122) has grabbed the exclusive broadcasting rights for the latest new season of Saturday Night Live (SNL) away from M-Net Series (DStv 110) which planned to start showing it from 3 March. Comedy Central will show brand-new one week old Saturdany Night Live episodes on Saturdays from 7 April at 22:15 (South African time), as well as Best of Saturday Night Live classic episodes on Friday nights at 22:15 from Friday 6 April. Earlier this month I told you RIGHT HERE that M-Net Series planned to start the new season of SNL on 3 March at 22:30 after M-Net Series managed to catch-up remarkably with the American sketch-comedy show over the past two years bringing episodes and seasons very close to the American broadcasting date. Well, it would appear as if M-Net Series' plans for the new season has been foiled and that it will definitely not start in March but only later in the year. It might even be that SNL is completely gone and lost to M-Net Series permanently as a TV property since M-Net refuses hand-me downs and simply don't broadcast shows if it's been on another channel first. Since there's zero chance that M-Net Series has Saturday Night Live's latest season starting in March and Comedy Central having the latest season start just one month later, it means SNL is lost to M-Net Series. M-Net Series didn't have a definitive answer on what happened. I asked M-Net Series, MTV Networks Africa and MultiChoice for further clarification of exactly what happened so that I can understand. M-Net Series which told me ''we may only air Saturday Night Live later this year'' promised ''feedback before the end of today'' but nothing materialized. TOLDJA! SABC2's Hectic Nine-9 becomes an hour from tomorrow as SABC2 dumps all the qBase28 presenters. Earlier in the month RIGHT HERE I said big changes are coming to SABC2's youth slow Hectic Nine-9 before this month is over and that the show is turning into an hour slot before the end of the month - SABC2 just confirmed that Hectic Nine-9 will become an hour show from tomorrow and the channel is dumping all of the qBase28 presenters who's last day on SABC2 was today. Hectic Nine-9 will start at 16:00 from tomorrow, Tuesday 21 February and run until 17:00 while Raphael Griffiths, Tshego Malepe, Tshiamo Thebe and Arye Kellman who've been qBase28 presenters have been dumped. ''It is unfortunate that this [the longer Hectic Nine-9 timeslot] coincides with the phasing out of the qBase28 continuity presenters,'' says SABC2's publicity manager Zandile Nkonyeni. Hectic Nine-9 has been on the air on SABC2 for almost five years and is being produced by Okuhle Media. ''We are looking forward to seeing what the audience response is to the one hour show,'' says Mpumi Ngidi, SABC commissioning editor. The existing 5 Hectic Nine-9 preseners in studio is adding two new female presenters and is still looking for a third new presenter to join the show through regional auditions across South Africa currently taking place. The current Hectic Nine-9 presenters are Ayanda Makuzeni, Danilo Aquisto, Danine Naidoo, Laurian Kabongo and Loyiso Mdebuku. 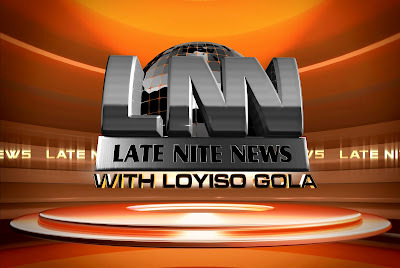 Late Nite News with Loyiso Gola set to return to the eNews Channel for a 4th season on Tuesday 8 May. The starting date for the 4th season of Late Nite News with Loyiso Gola on the eNews Channel (DStv 403) and simulcast on e.tv has moved to Tuesday 8 May. Last week I broke the news RIGHT HERE that Late Nite News with Loyiso Gola has been renewed for a 4th season set to start in April this year. The well-done satirical news show skewering South African politicians and news headlines will be back for a 4th season but now one month later than originally planned. Programming note: Delicious (and oh so devious!) 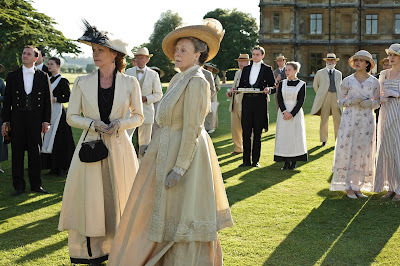 drama as the brilliant Downton Abbey starts tonight on BBC Entertainment. Absolutely great television does exist - television that tells the highest quality of stories, is pure entertainment, transports you to another world, isn't difficult to follow or understand, and makes you want more: the utterly awesome Downton Abbey starts tonight on BBC Entertainment (DStv 120) at 20:30 and I absolutely promise you that you'll be enthralled and captivated right from the very first episode of this British drama set exactly a century ago. This sumptuous show is fantastically brilliant in the way it's put together - imagine a primetime soap with all of the unexpected twists, interpersonal drama and unbelievable turn of events, set a century ago, beautifully filmed, in period costume, with many varied characters who all have their own intricate story and you have Downton Abbey. 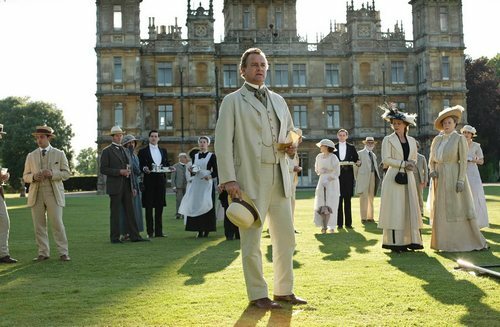 ALSO READ: Downton Abbey coming to BBC Entertainment from 19 February at 20:20. The first season of 7 hour long episodes is the best television drama South African viewers will get to see all year - Downton Abbey is delicious high noon tea television served with hot scones and cream. You can sit back and immerse yourself in another world of delicious (and devious!) drama right from the get go as viewers meet the aristocratic Crawley family, the servants who look after them, and a love story (make that two!) for the ages. BREAKING. Worst Whitney funeral coverage as the eNews Channel completely botch and mishandles the funeral broadcast. 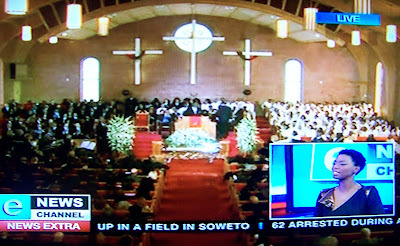 The eNews Channel (DStv 403) had the most atrociously awful live coverage of the Whitney Houston funeral of all the available news channels in South Africa carrying the funeral live today, out of a list including BBC World News, CNN International, Sky News, MSNBC, Fox News Channel and euronews. While all the news channels had advisories about the live coverage coming on Saturday, South Africa's eNews Channel didn't know or care to tell the press or viewers. 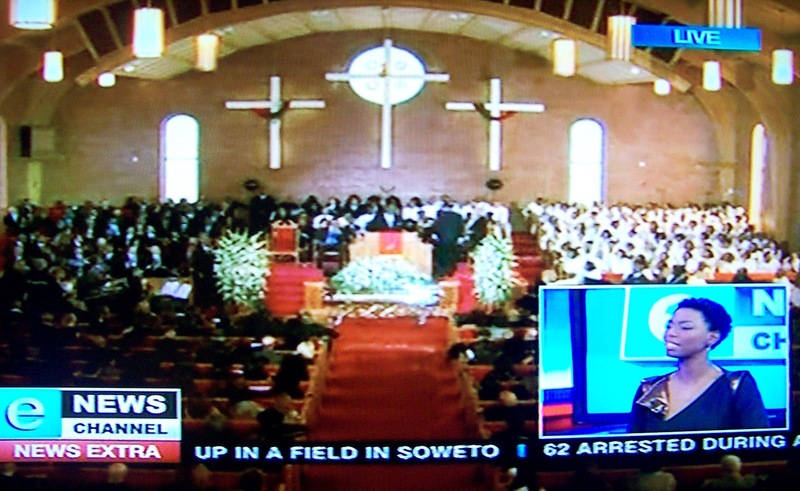 Live coverage started but the eNews Channel who invited South African singer Lira to the studio kept interrupting the funeral and speakers by asking Lira questions and talking over the service, which is not why viewers would have turned in. The other news channels like CNN International and Sky News which had commentators and celebrity experts, deftly waited for shorter silent moments in between to talk. Lira left the eNews Channel studios at 20:10. By that time - when anchor Belinda Moses took over at 20:00 - the eNews Channel which cut away for lots of commercials, news headlines and schizophrenically cutting to ews and interrupting the funeral. When Whitney Houston's musical mentor Clive Davis spoke, viewers couldn't hear anything, Belinda Moses kept talking and studio guest Bongani Madondo (a writer for Rolling Stone magazine in South Africa) kept blabbing. They talked again while Stevie Wonder sang. The eNews Channel's live Whitney Houston funeral coverage came across as extremely amateur, sub par compared to the slickly produced offerings on the other news channels, and grossly disrespectful. It's strange and negligent that the channel would first off not have told it would be preempting its usual Saturday coverage for Whitney Houston's funeral - and then do it so badly - especially since it's so easy for viewers to flip the switch and watch a far superior broadcast on adjacent TV news channels. While CNN International went wide-screen and suspended their news scroll, the eNews Channel kept the garish ''Abducted Limpop Teen found murdered'' and other must-know ticker news running. While Sky News was commercial free, the eNews Channel would suddenly interrupt with wholly inappropriate Clientele ''I was in a car crash'' legal services infomercials. Although all the new channels used the same single-camera Associated Press video feed (the only news organisation and single video feed allowed in the church) CNN International had the best and most crisp video image and best colour saturation. Once again the eNews Channel's video feed was the worst of all the available channels (euronews was second worst). BREAKING. Whitney Houston funeral live Saturday at 19:00 on Sky News, CNN International, Fox News, MSNBC, E! Entertainment and BET. Whitney Houston's funeral on Saturday is set to become a global TV event with multiple news channels planning live coverage of the funeral in New Jersey which South African viewers will be able to follow on numerous news channels, as well as live streaming online and special reports. E! Entertainment (DStv 124) will be live streaming Whitney Houston's funeral tomorrow, Saturday 18 February from 19:00 (South African time) from the New Hope Baptist Church in Newark, New Jersey. Jason Kennedy will anchor a live E! News Whitney Houston Special Report on television from 19:30 with the latest news and special reporting by E! 's chief news correspondent Ken Baker and E! senior online editor Marc Malkin. CNN International (DStv 401) will be covering and broadcasting Whitney Houston's funeral on Saturday live from 19:00, titling the news channel's coverage Whitney Houston: Her Life Her Music. Piers Morgan, Soledad O'Brien and Don Lemon will be anchoring CNN International's live Whitney Houston funeral coverage. CNN will also live stream the funeral on the CNN website. The eNews Channel (DStv 403) hasShahan Ramkissoon in New Jersey and the South African news channel says he will be filing several stories during the course of Saturday. 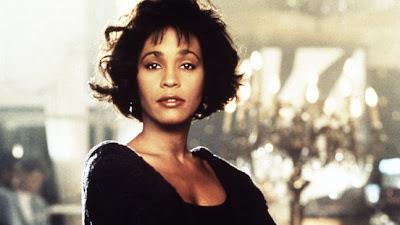 Fox News Channel (TopTV 405) will be covering the Whitney Houston funeral live with Uma Pemmaraju and Jon Scott who will be anchoring live on the channel from 19:30 (South African time until 22:30 from New York. 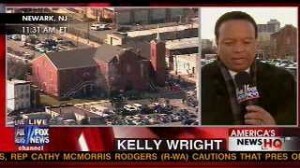 Fox News correspondent Kelly Wright will report from Newark. Fox News will show the funeral live on the channel and will also stram it in full live on Foxnews.com. 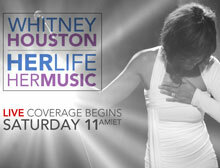 Sky News (DStv 402) will cover the Whitney Houston funeral live from 19:00 (South African time) on Saturday. MSNBC (TopTV 410) will cover the Whitney Houston funeral live on Saturday, also from 19:00 with Alex Witt anchoring the news channel's live coverage. 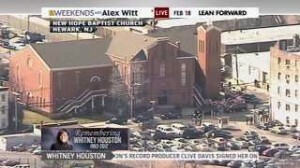 BBC World News (TopTV 400 / DStv 400) is also carrying the Whitney Houston funeral live from 19:00. BET (TopTV 190) will cover the Whitney Houston funeral from 17:30 with a news special, Live: The Homegoing of Whitney Houston. From 19:30 BET will cover the funeral live with correspondents April Woodard and Lola Oguinnake in Newark. The funeral will be followed by a one hour special (undetermined whether it would be seen in South Africa) entitled BET Remembers Whitney. At the funeral will be Whitney Houston's daughter Bobbi Kristina Brown; Kevin Costner; Dionne Warwick, Alicia Keys; CeCe Winans and gospel singers Kim Burrell and Donnie McClurkin. Programming note: E! News special, Whitney Houston: Last Days of a Legend tonight at 22:00 on E! Entertainment. E! Entertainment (DStv 124) has a quick turn-around E! News Special tonight presented by Giuliana Rancic entitled Whitney Houston: Last Days of A Legend at 22:00 (South African time). The hour long special will chronicle the events leading up to and immediately after Whitney Houston's untimely death this past Saturday, as well as reflect upon her magnificent career and tumultuous personal life. With insight and interviews from those who were at the Beverly Hilton and interacted with Whitney Houston during the pre-Grammy festivities, including E! Entertainment's Ken Baker and Mark Malkin, the special will offer viewers an account of her actions and whereabouts during the final days of her life. Singer Kelly Price, who was the last person to ever share a stage with Houston on Thursday, 9 February, and Ricky Minor, Houston’s long-time musical director, who was with her at that very concert, provide comments to E! about their impression of the late singer. Viewers will also hear from Allison Samuels who was scheduled to interview the singer the day she died and had been waiting for her arrival. E Entertainment! also shares exclusive footage of what is thought to be the last time Houston was ever caught on camera, when she stopped by an E Entertainment! interview taking place in the hotel a mere 48 hours before her death. Shona Ferguson nominated as best actor in a soap for the 6th Saftas in 2012 ... for his role in Scandal! he left in 2010. Get this: Shona Ferguson is nominated and could possibly win in the category for best actor in a soap opera for the 6th South African Film and Television awards (Saftas) - but not for his current role in M-Net's The Wild ... for his role of Alex Phiri in e.tv's Scandal! a role he left at the end of 2010 already. I asked and so far M-Net has no comment on an actor in their soap being nominated for a soap he hasn't been seen in on screen for more than a year. BREAKING. 7de Laan's Vinette Ebrahim slams the Saftas after the SABC2 soap gets excluded from the Best Soap category this year. I've been travelling all day yesterday and landed back in Cape Town after midnight - on my flight was Vinette Ebrahim, the star of SABC2's 7de Laan who I spoke to, and who is slamming the South Africa Film and Television Awards (Saftas). I asked her for her thoughts after I broke the shocker RIGHT HERE on Wednesday that the soap won't be on the list in the Best Soap category for the upcoming 6th Saftas. When I spotted the every-lovely Vinette Ebrahim on our very late same flight last night, I asked her if I could get her opinion and reaction on the shocking news that viewers and the South African public won't be able to vote for 7de Laan in the Best Soap category in the 6th Saftas. ALSO READ: 7de Laan - the past 3 years voted Best Soap - suddenly excluded as a choice by the NFVF and the upcoming 6th Saftas. ALSO READ: Nominees for the 6th South African Film and Television Awards. ALSO READ: 7de Laan slams the South African Film and Television Awards: ''Disappointed'' at being excluded from Best Soap category. BREAKING. 7de Laan slams the South African Film and Television Awards: 'Disappointed' at being excluded from Best Soap category. SABC2's 7de Laan is slamming the National Film and Video Foundation (NFVF), organisers of the 6th South African Film and Television Awards, and their decision to exclude the popular soap from the Best Soap category for which soaps can't enter and the winner of which is decided through a popular vote by viewers. TV with Thinus broke the news Wednesday that 7de Laan will not be appearing on the list. The nominees for the 6th Saftas, set to take place on 9 and 10 March were announced Thursday evening. ALSO READ: Shocker! 7de Laan - the past 3 years voted Best Soap by viewers - dumped as a choice by the NFVF and the 6th Saftas. 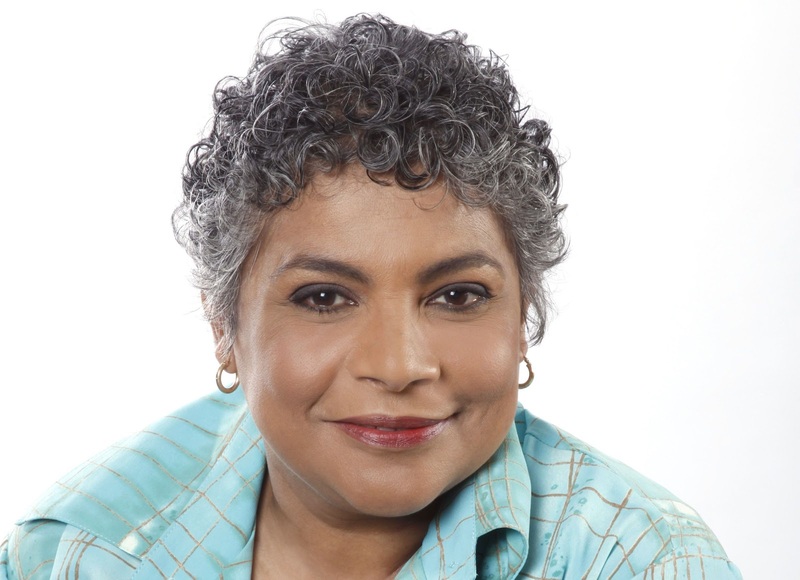 ALSO READ: 7de Laan's Vinette Ebrahim slams the South African Film and Television Awards after the SABC2 soap gets excluded from the popular vote Best Soap category this year. ''Danie Odendaal Productions is disappointed to hear that 7de Laan has been excluded for consideration as Best Soap for the 2012 Saftas,'' the production says in a strongly-worded press statement that was sent to me after the news broke. ''The exclusion of 7de Laan from the Best Soap Award confirms our reservations with the Saftas selection process for soaps,'' says the SABC2 production. ''No single episode could effectively showcase the work of any single cast member – especially when many on the judging panel do not necessarily watch the programme regularly,'' says 7de Laan. Nominees for the 6th South African Film and Television Awards announced. The nominees for the 6th South African Film and Television Awards (Saftas) were announced last night at Melrose Arch once again stirring controversy and raising serious questions regarding selection, judging and overall credibility of the awards show with the the SABC2 soap 7de Laan cut from the category of Best TV Soap this year, as I broke the news on Wednesday. The 6th Saftas, originally set for 10 and 11 March at Gallagher Estate was suddenly moved to 9 and 10 March. I've since learned yesterday that SABC3 which was set to broadcast the 6th Saftas on 11 March and planned a live broadcast, will now have to settle for a recorded broadcast after being told by organisers that the ceremony suddenly had to move a day earlier. According to my sources, SABC3 is not happy but isn't willing to cut up its schedule and move the broadcast to 10 March just so it can be live. The Saftas will dole out Golden Horn awards on 9 March for the non-fiction categories and on 10 March for the fiction categories. As in previous years, the Saftas – organised by the National Film and Video Foundation (NFVF) has industry insiders saying that the entry and selection process and judging of the awards ceremony needs to be relooked. On the TV side, M-Net and e.tv previously lukewarm about the Saftas didn't enter for a long time citing credibility issues and doubt about a fair chance to compete. SABC1's Generations and producer Mfundi Vundla previously also expressed great unhappiness with the Saftas with the cast and crew which boycotted the awards. This year SABC2's 7de Laan declined to enter cast and crew into categories leading to its banishment from the Best Soap category which is determined by viewers and a popular vote. The Saftas winners are decided upon by 104 judges who works within the TV and film industry. The 104 judges are all previous winners and nominees. 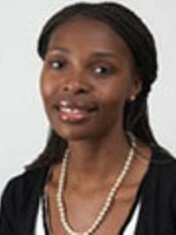 Jackie Motsepe, one of the two judging chairpersons who oversee the judging, works at the SABC. This year Shona Ferguson is a nominee for Best actor in a soap for his role as Alex in e.tv's Scandal! although he's been appearing in M-Net's The Wild for longer than a year. M-Net's Carte Blanche appears as a nominee in the category for magazine show, and not in the news and actuality programme. Best news and actuality programme: No Place like Home, Carte Blanche, Speak Out. Best magazine show: Carte Blanche, All Access Mzansi, Pasella, Headline. Best music show: Afro Café, Club 808, Jam Alley vs Crew. Best talk show: My Top 10: Life in Music; Redi on Mzansi, Tonight with Trevor Noah. Best reality show: Sharp Shooter, One Day Leader, Jam Sandwich. Best game show: Noot vir Noot, Jam Alley vs Crew, Kom ons Kareoke. Best drama show: Sokhulu & Partners, Zone 14, Intersexions. Best comedy: Gauteng Maboneng, Stokvel, Ga Re Dumele. Best soap (as determined by viewers' vote): Generations, The Wild, Rhythm City, Scandal!, Isidingo, Muvhango. Best actor in a drama series: Thato Moraka, Katleho Ramapakela, Siyabonga Radebe (all for Intersexions). Best actress in a drama series: Lindiwe Ntuli (Fallen), Lungelo Dladla (Intersexions), Linda Sokhulu (Sokhulu & Partners). Best soap ensemble cast: Isidingo, Rhythm City, The Wild. ALSO READ: 7de Laan slams the South African Film and Television Awards: ''Disappointed'' at being excluded from the Best Soap category. SHOCKER! 7de Laan - the past 3 years voted the Best Soap - suddenly dumped as a choice by the NFVF and the upcoming 6th Saftas. I can exclusively break the shocking news that ''South Africa's most popular TV soap'' 3 years running as chosen by viewers - 7de Laan on SABC2 - will unceremoniously get dumped as a choice and deleted as a contender by the National Film and Video Foundation's (NFVF) for the upcoming South African Film and Television Awards (Saftas) set to take place on 10 March. I can reveal that 7de Laan, produced by Danie Odendaal Productions, has suddenly been dropped as an option in the Best Soap category - a category for which soaps don't have to and can't enter, and which is determined through a popular viewers' vote. All the other local South African soaps will still appear in the category when the full 6th Saftas nominees list is announced tomorrow evening. Just not 7de Laan effectively shut out of the Saftas for the prize to win. While viewers will get to choose Generations (SABC1), The Wild (M-Net), Muvhango (SABC2), Isidingo (SABC3), Rhythm City (e.tv) or Scandal! (e.tv), the Saftas has banished 7de Laan by leaving it out as an option. 7de Laan won in 2009 as Best Soap at the 3rd Saftas, won again in 2010 as Best Soap at the 4th Saftas, and won in 2011 at the 5th Saftas again for Best Soap as voted for by viewers. The cast and crew of 7de Laan however boycotted the Saftas last year after a massive mess and voting fiasco with the wrong SMS number for the soap. Generations previously also had a major falling out with the awards ceremony purported to praise the best of South African television and film, but often come in for criticism regarding the judging process as well as dubiously shoddy productions values. With the incomplete list, insiders now say the ommission of 7de Laan which could have won again as most popular but won't get the chance since viewers won't be able to vote for the show, is further proof of the ongoing credibility problem of the Saftas. Behind the scenes drama also erupted earlier this month when the 6th Saftas, scheduled for 10 and 11 March, had to be moved a day earlier to 9 and 10 for the non-fiction and fiction ceremonies. SABC3, which will tomorrow officially be announced as the broadcasting partner - news I exclusively broke last month RIGHT HERE already (after the event - due to a lack of timeous organisation wasn't broadcast last year) will have to move its Saftas broadcast to 10 March to keep it a live broadcast or now go with a recorded broadcast if kept on 11 March where it was originally scheduled. This year's 2012 Saftas drew a record number of 233 entries. The Saftas is often derided by TV and film critics who are shut out from actually judging the award categories. Instead the Saftas winners are decided upon by 104 so-called ''judges'' who works within the TV industry and who are previous winners. According to Saftas critics, this represent a conflict of interest. I asked the NFVF and Saftas why 7de Laan is suddenly being dropped as a contender from the Best Soap category which will make the soap ineligible to be voted for by viewers after winning the public vote and coming out tops the past 3 years. ''7de Laan didn't submit any entries for the Saftas this year, that is why they are not eligible to be in the Best Soapie category,'' says the NFVF. I asked 7de Laan and Danie Odendaal Productions what the soap is making of this shocking development and of being left out in the cold. ''We did not submit entries for the Saftas this year because we have reservations about the selection process,'' Colin Howard, 7de Laan's line producer tells me. I asked, am I'm also waiting for an official response from SABC2 who was also stunned when I told the channel the news. ALSO READ: 7de Laan's Vinette Ebrahim slams the Saftas after the SABC2 soap gets excluded from the popular vote Best Soap category this year. BREAKING. 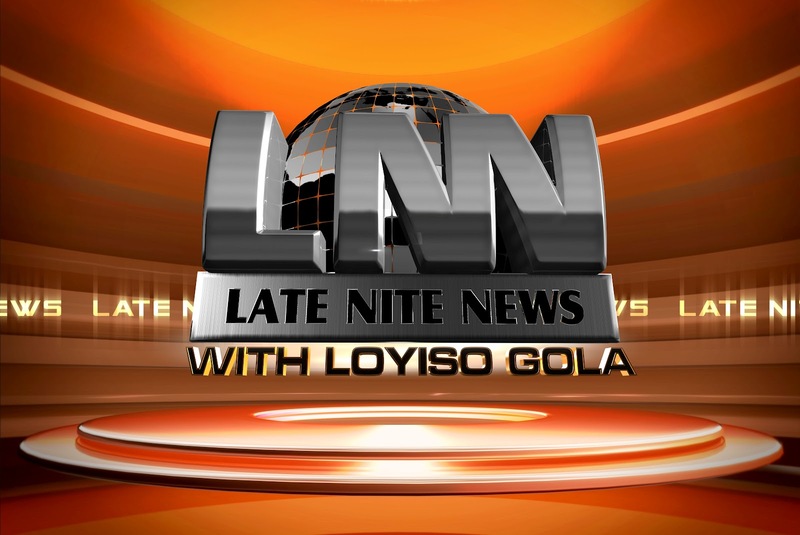 Late Nite News with Loyiso Gola set to return to the eNews Channel for a 4th season in April. 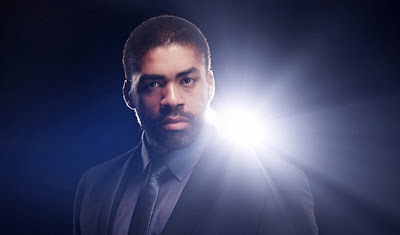 I can reveal that the brilliant Late Night with Loyiso Gola is set to return to the eNews Channel (DStv 403) (simulcast on e.tv) with the satirical faux news show that has been renewed for a fourth season which will start on the news channel in April. Sources told TV with Thinus last month that the excellent and hilarious LNN - Loyiso Gola ably assisted on-screen with angry puppet Chester, roving international correspondent David Kibuki and comedian Riaad Moosa - will be back on the eNews Channel soon. e.tv has now confirmed the news, telling me ''LNN is coming back in April this year''. The eNews Channel would do well to make Late News News with Loyiso Gola as well as the newer-better The Tech Report both permanent full year additions to the channel's schedule instead of 13 episode runs at a time. Both shows have excellent production values, is clearly well-researched and planned and deals very aptly with current news events and issues in their own distinctive ways. BREAKING. Gugu Duda appointed as the new permanent chief financial officer at the SABC. Gugu Duda has been appointed as the new permanent chief financial officer (CFO) at the SABC. The struggling South African public broadcaster has been battling to fill several top key executive positions who've been long vacant and have been filled by acting executives. Gugu Duda's appointment will come into effect on 1 March this year and is for the regular five year period. Gugu Duda, a chartered accountant, was previously the CFO for internet at telephone banking at First National Bank (FNB). She left to join Wipcapital as executive investment manager, before departing for AngloGold Ashanti to take up the position of vice president for strategy and risk integration for continental Africa. BREAKING. 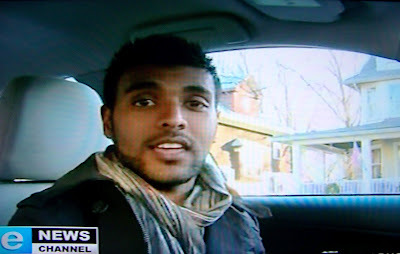 Shahan Ramkissoon from the eNews Channel is in New Jersey, America for Whitney Houston stories. The eNews Channel (DStv 403) has dispatched its reporter Shahan Ramkissoon to America who is currently in New Jersey, America, to file stories about Whitney Houston who's public funeral is expected to take place this coming weekend. The usually snappy dresser filed some of his story today from inside a rental vehicle, in East Orange, with stubble and a shemagh scarf. In today's story on the eNews Channel Shahan Ramkissoon visited and interviewed neighbours (who seemed reluctant to talk) living opposite Whitney Houston's childhood home, and went to a bakery, the Supreme Bakery where she often went to. I asked the eNews Channel as to why Shahan Ramkissoon was sent and how long he will be staying in America, with the channel telling me that he was actually already there on holiday and quickly roped in to assist with additional Whitney Houston news coverage. ''It was a collective editors' decision to keep Shahan in New York - he was already there on holiday - when the eNews Channel heard of her death,'' the news channel tells me.